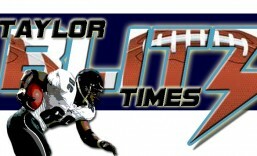 Welcome to the casual Friday version of the Taylor Blitz Times. Time to look at what the Steelers have to address as we look into the crystal ball and figure what this team needs to address going into 2011. While it’s true Pittsburgh has made it to 3 Super Bowls in 5 years they do have a few things to address. The Steelers have another solid year of being clearly better than all but Baltimore in their division. The Browns are improving and the Bengals aren’t sure if they are coming or going, especially with the ongoing Carson Palmer saga. Yet a closer look and there are some positions where the Steelers are showing age and wear. This can haunt a team that is used to winning close games for a fickle bounce of the ball one way late can turn what would have been a win into a loss. So lets get started. Quarterback: Big Ben Roethlisberger, who doesn’t play according to the quarterback ratings system and doesn’t seem to be a polished passer. He’s not in the Tom Brady, Aaron Rodgers, Peyton Manning class right? Thats perception until you look at the actual numbers. 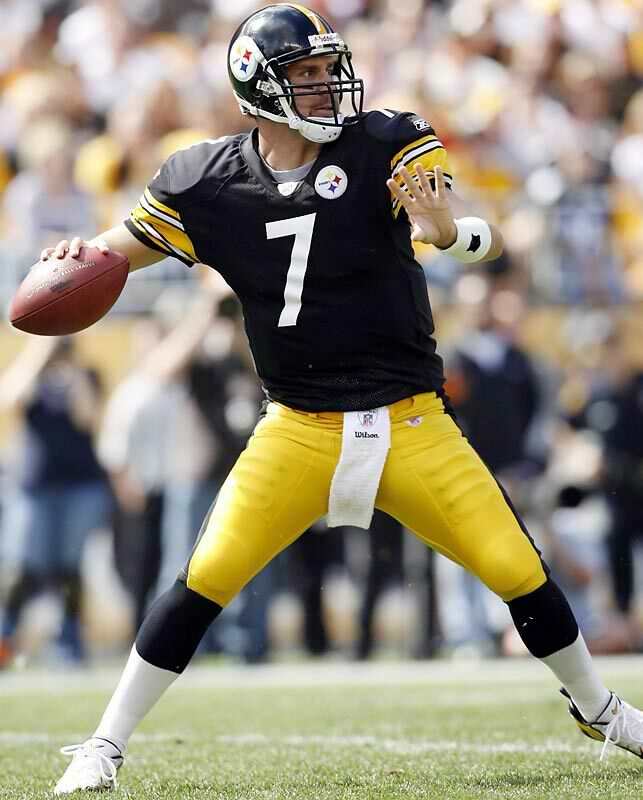 In 2010 Roethlisberger threw for 17 TDs and only 5 interceptions and had a passer rating of 97.0. His TD to interception ratio is as good as any QB in the NFL. His never give up on a play attitude does lead to some sacks and turnovers but it also leads to breathtaking plays like the 59 yard bomb to rookie Antonio Brown, with 2 minutes to go in the divisional playoff with the Ravens. His comebacks are more schizophrenic than artistic yet his statistics are starting to show he belongs in the upper echelon of quarterbacks. Offensive Backfield: The Steelers are set for the forseeable future with Mendenhall. A physical runner with quick, patient feet. No running back in football defines his team with his style of play. Although he’s had back to back 1,100 yard seasons, 1,273 in 2010, and he’s done so behind a patchwork offensive line which needs to be improved. Could challenge for a rushing title behind a better line. Entering his 4th season, he’s proven durable and may have his best season. He wants to make good after his 4th quarter Super Bowl fumble and you know he’s living with it this entire off-season. Look for him to come into 2011 with a serious chip on his shoulder. Mewelde Moore is a capable backup and can fill in for Mendenhall in spells yet is better as a back on screens and draws than off tackle plays. A little of Mendenhall has rubbed off on Moore who has run with more authority since Rashard’s arrival. Offensive Line: A beleaguered group did hit a good note with the drafting of center Maurkice Pouncey. He can anchor the Steelers line for many years to come. Where there are issues is when you move out to Tackle. Flozell Adams was only a stop gap measure for the injuries to both Willie Colon and Max Starks. The Ravens Terrell Suggs had 3 sacks against this line in the divisional playoff also. When healthy, Starks has problems with quicker pass rushing ends and linebackers anyway. Look to the Steelers to draft some help here. Contrary to popular belief, this line doesn’t get as much push in the running game as it seems. They have benefited from Mendenhall breaking tackles and making them look better than they have played. Much like Roethlisberger’s scrambles have helped their sack numbers. In the Super Bowl you could see this when Mendenhall was hit in the backfield 6 times on rushing plays including the critical 4th quarter fumble that sealed the Steelers fate. More and more drives depend on Ben making a play to keep drives alive than the Steelers powering the ball down opponents throats. That deficiency clearly comes from this line not getting much push. Need a serious upgrade and should use 2 draft picks here. Receivers: After the loss of Santonio Holmes, I for one, thought this would be a weakness that would come back to haunt the Steelers. The emergence of Mike Wallace, who was a Pro Bowl snub, more than made up for Holmes departure. Wallace’s performance? 60 receptions for 1,257 yards and 10 touchdowns with a whopping 21 yards per reception and no Pro Bowl? Come on man! This deep, threat entering his third year, played better than expected and compliments Big Ben’s scrambling to put fear in rival defenses and will only get better. Rookie Antonio Brown started to emerge as the playoffs neared and should replace Randle El. He showed explosive speed as well and was a jolt to the Steelers special teams and will come into year 2 brimming with confidence. Hines Ward has really slowed, he looked like a tight end through much of last year. He’s been a durable Hall of Fame receiver who may retire before we get to the 2011 season. The Steelers will need to develop a possession receiver or move to more 2 tight ends if Ward doesn’t come back. If he does look to teams running man under coverage and smothering him on underneath routes because he can’t get deep. He may need to be platooned and come out in certain situations. He’s slowed too much. At tight end Matt Spaeth and Heath Miller are the best one – two punch in football. Each block and are sure handed underneath receivers and bail Ben out on those 3rd and 4 scrambles. At receiver, the Steelers are really in good shape. Linebackers: Don’t look now but the Steelers are getting a little long in the tooth at inside linebacker also. 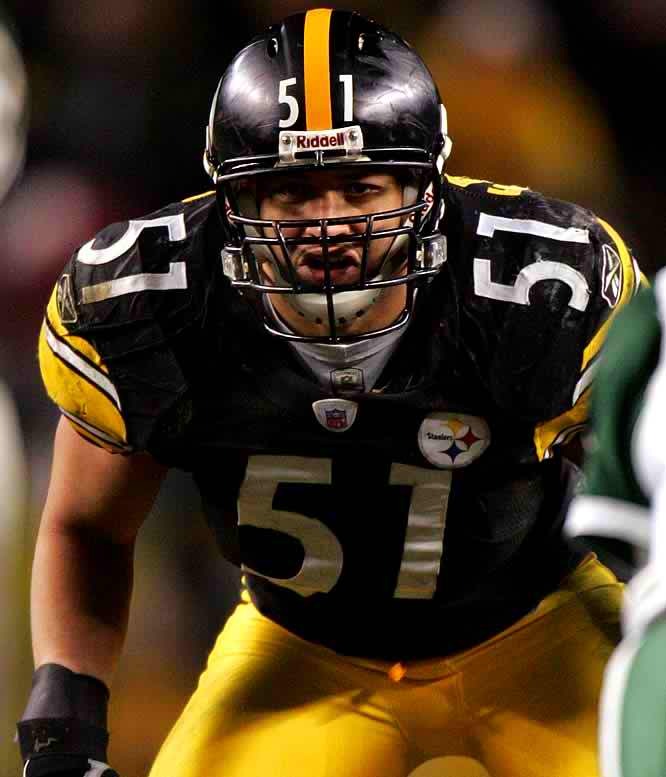 James Farrior has quietly been one of football’s best ILBs for the last six years. He’s been a consumate pro since he came over from the NY Jets yet he’s entering his 15th season. The Steelers brought back Larry Foote who played well last year and he’s entering his 10th season while they’re backup Keyaron Fox is entering his 8th. Fox also had a dumb personal foul call on the kickoff before the Steelers final drive that pushed them back to a point of desperation in the Super Bowl. The Steelers need to draft here to prepare for the enevitable. At outside linebacker this team couldn’t be more set with former NFL Defensive Player of the Year in James Harrison and LaMarr Woodley. The best set of outside linebackers in football bar none. Even if one of them goes down, the Steelers have Lawrence Timmons out of Florida State, whom they play out of position as a nickel inside linebacker just to get him on the field. Harrison and Woodley are stout against the run and rush the passer as well as any set of linebackers in history. Their disappearance in Super Bowl XLV was puzzling….Woodley, Farrior, and Harrison combined for only 7 tackles in that football game. The Packers handled this team at the line of scrimmage and no one was used to that. 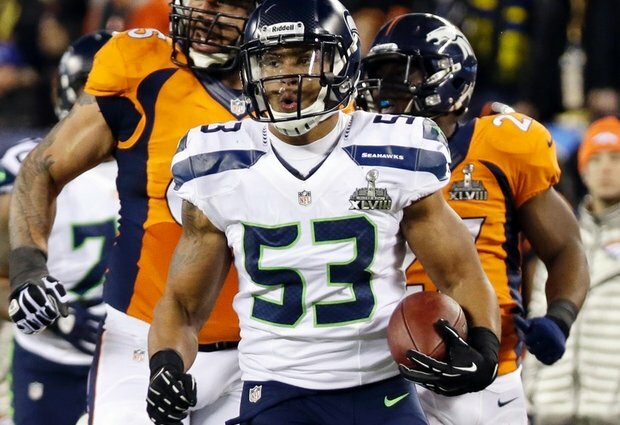 Need to draft some inside linebacker help…. For the safeties are the best in football as a tandem in NFL Defensive Player of the Year Troy Polamalu and Ryan Clark out of LSU. However how long can these two play at such a high level? Polamalu is going into year 9 and Clark is going into year 10 and the pounding is taking its toll on Troy who has missed 5 games in the last two seasons due to injury. He rushed to come back and wasn’t the same player and you saw he couldn’t get to the corner to stop Aaron Rodgers throws over the corner. Troy just couldn’t get there. When healthy he is the most instinctive defensive players in the NFL and will go to the Hall of Fame. Has his physical style of play rendered his body to the point he can’t complete a full season anymore?? Hmmm?? Draft, draft, draft!! There are some needs everywhere from both the offensive and defensive lines, the inside linebacker position and cornerback. Age can really hit this team all at once. Although its not likely they just have to prepare. This is that last season where they are clearly better than the rest of the division. They are about to transition into being more of an offensive football team than that of a defensive one. The defense will need to be rebuilt in 2012. The Steelers have to get younger.